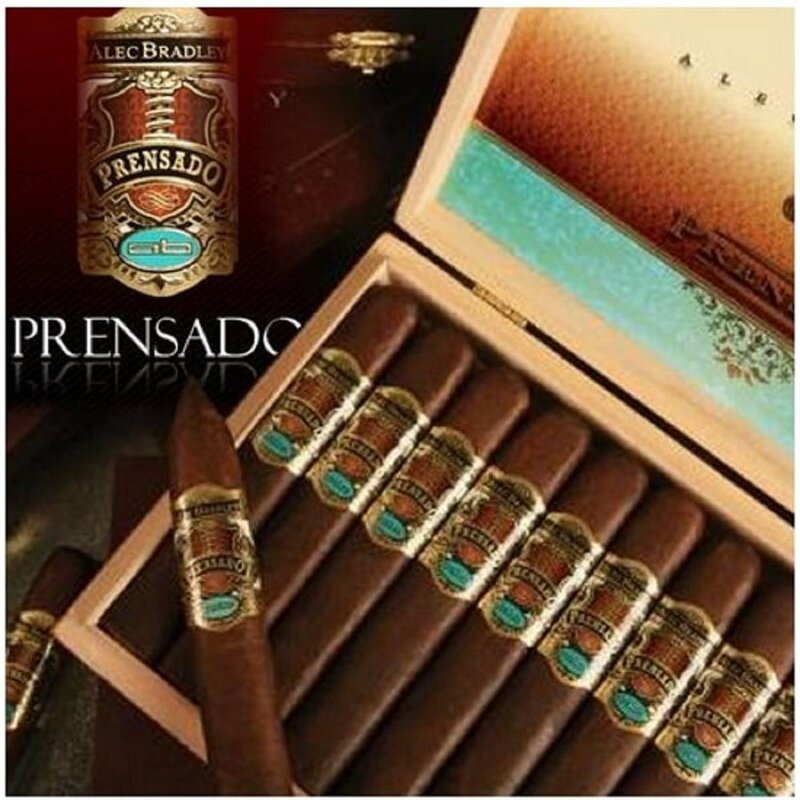 Alec Bradley's Prensado Robusto is one deliciously endearing smoke. Box pressed in the true Cuban tradition. Medium-full, with Honduran and Nicaraguan long-fillers procured from small yield farms. The Trojes Corojo wrapper provides power and flavor. A truly classic Cigar. Alec Bradley did not begin operation as a multi-million dollar company that was capable of producing a lot of great cigars all the time. The truth is that they were once a lovely little boutique cigar company, making cigars in a limited quantity, making quality cigars, but not making very many. Slowly, as they made more and more cigar lines that were getting more and more attention and better and better ratings, they began to garner attention, and slowly they grew. There are two cigars in particular that you should know about being made by Alec Bradley; the first is the Tempus, a cigar that got a 94 rating and that is quite fantastic, and the Prensado, a cigar that got a 96 rating and was Cigar Aficionado’s cigar of the year for 2011. If you’re looking for a great cigar, this is the place to begin. The cigar begins with a Corojo wrapper from Honduras, into which is placed a glorious blend of premium long-fill tobaccos, gathered from Honduras and Nicaragua. This combines to make a cigar that I cannot get enough of, an Alec Bradley cigar that has chocolaty notes, along with the tastes of leather and earth, finishing off with that spice you would expect from a Nicaraguan tobacco. These are one of the great cigars on the market, and if you manage to find one for sale, let alone a box, you owe it to yourself to try them out. You will not regret the purchase.